It's with a heavy heart that I as President, have to get this off my chest. The word "Ramily" is not just a word; it has meaning. It stands for love, respect, honor, integrity and togetherness. So in saying that, we have some Ram fans who allow other people to feel free and help themselves by taking Ramily property from vehicles that are not theirs. We WILL NOT be responsible for Chairs, Ice Chests or other personal items left behind in Lot 6. Sorry Ramily, it is what it is based on those Ram fans or other team fans, not Ramily, who cant control their urge to take other people's property. Please do not let this deter you Ramily from tailgating. 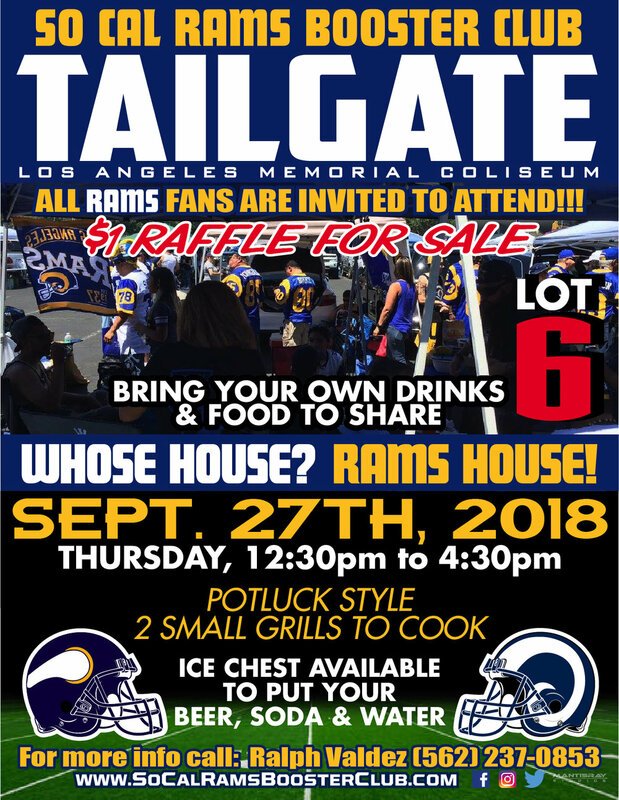 Until the next tailgate, go Rams 4 Life!!! FOOD IS FIRST, COME FIRST SERVED.